Would you like to know more about them? 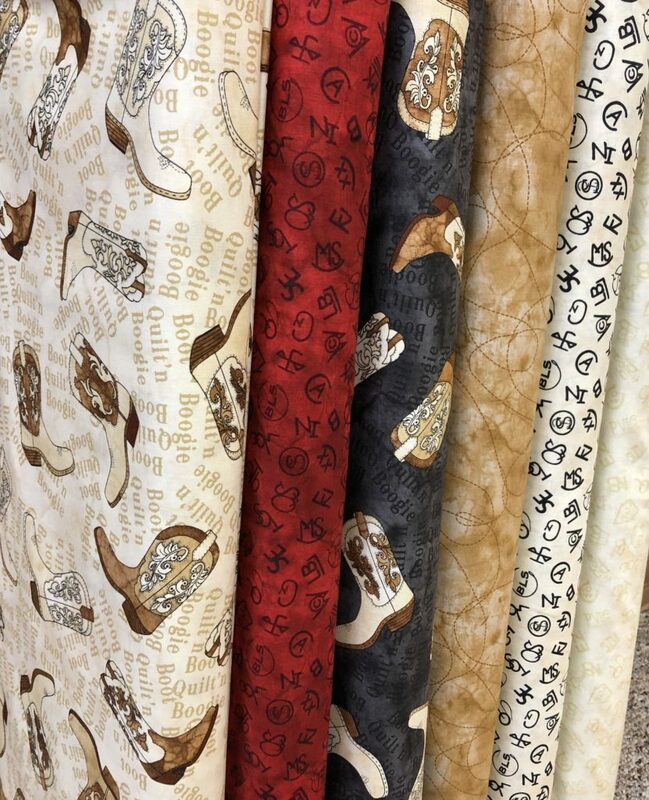 Our 2019 Shop Hop Fabric is “Boot Quilt’n Boogie”!! Check it out!!!! Nice Spring colors of blue, yellow, and gray! The “Robert Kaufman” collection “La Scala 7” contains the color onyx with grays, silvers and golds; flower prints and co-ordinates! In Flannel! 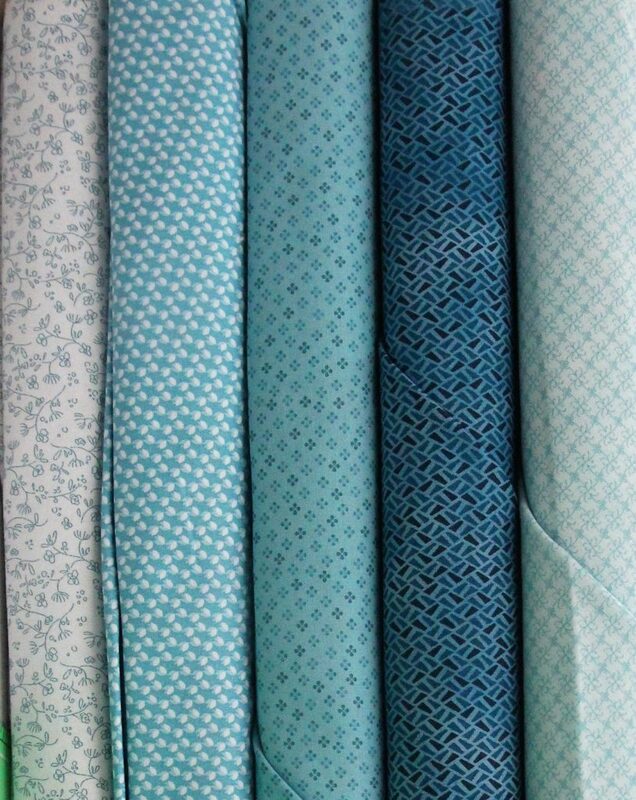 Series of small prints of tone on tone, teal and white. 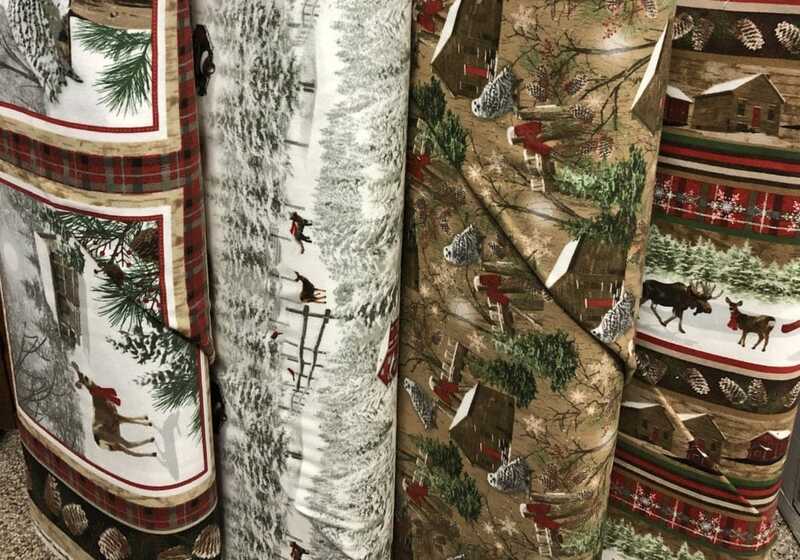 Beautiful flannels of outdoor scenes, moose and deer. Co-ordinates and border print. 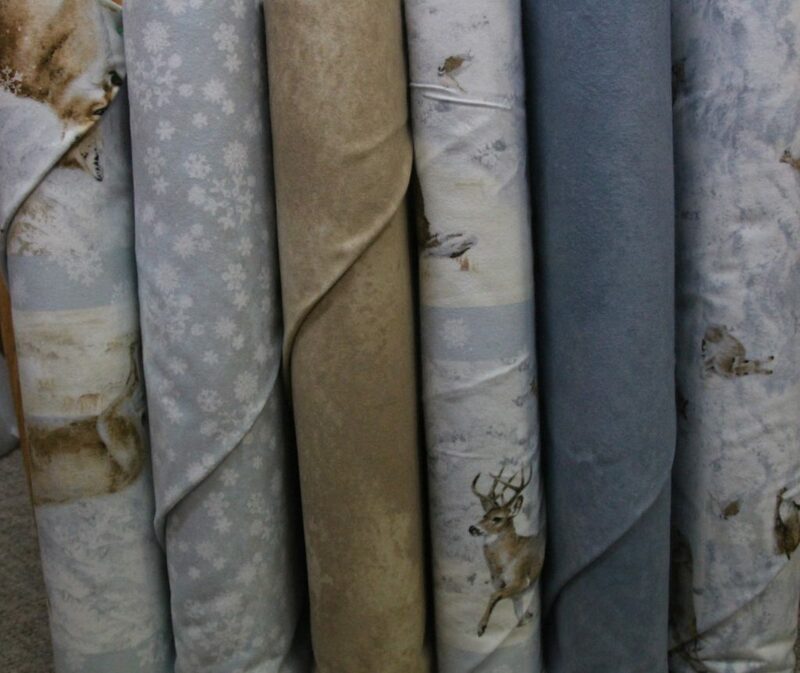 A winter line in browns, rusts and creams. 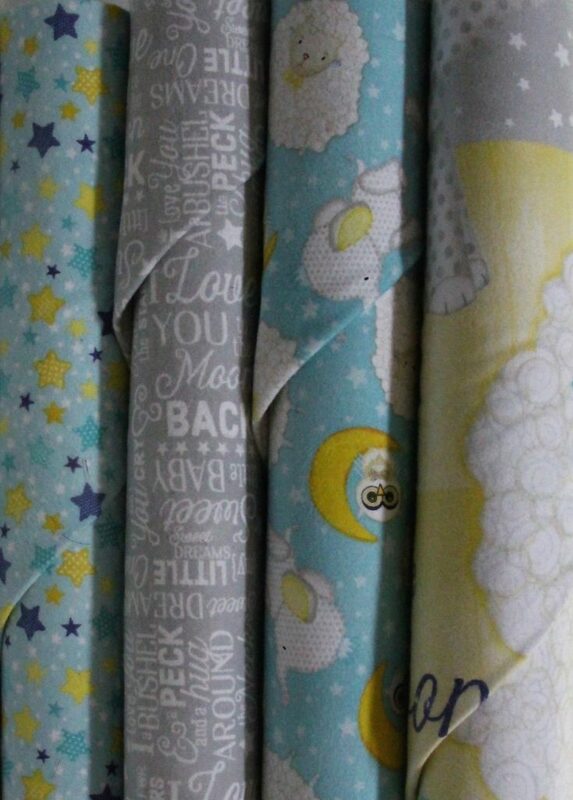 Available in charm packs, jelly rolls, layer cakes and some pieces by the bolt! Forest animals on a snowy background. Blues, tans, grays, all in flannel. 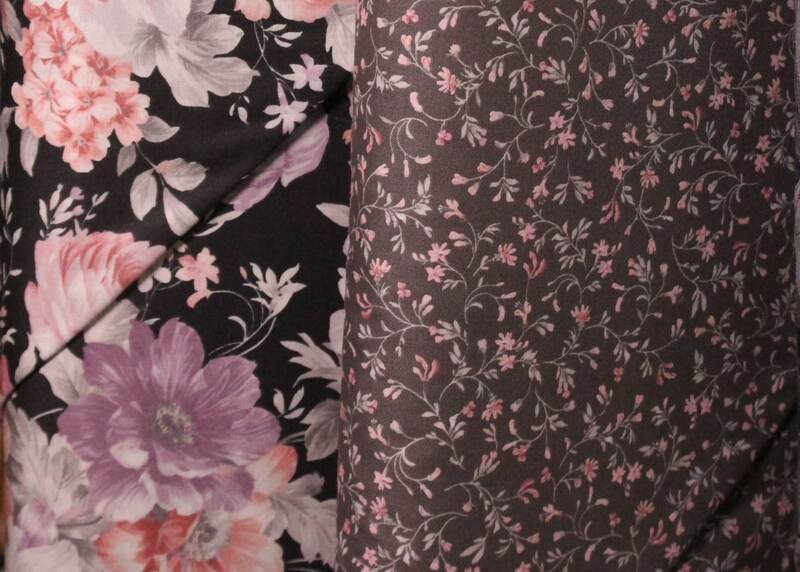 Gray and tan florals on black and gray backgrounds. Many co-ordinates! Grays, lavender, and pink florals. 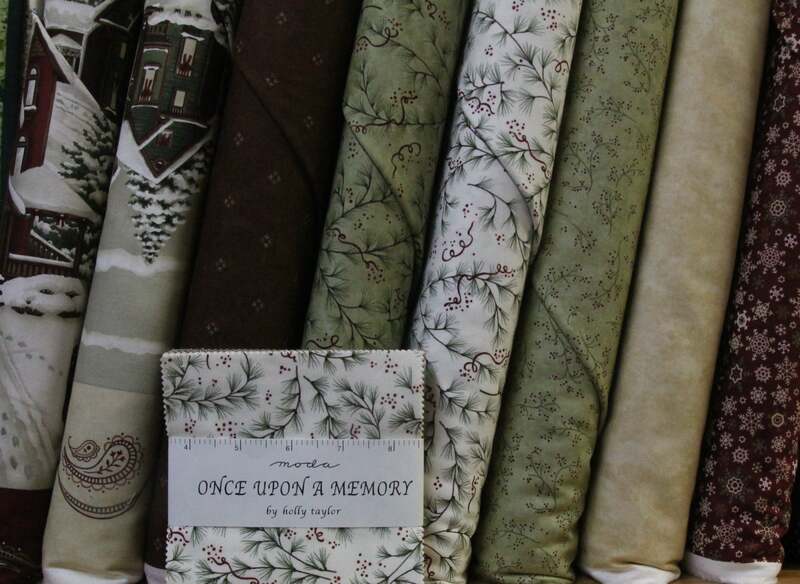 Available in charm packs, jelly rolls, layer cakes, and fat quarters, as well as some pieces by the yard. “Arabella” – Small red and pink roses on different backgrounds with a touch of green for leaves. Could use for Valentine’s Day!! 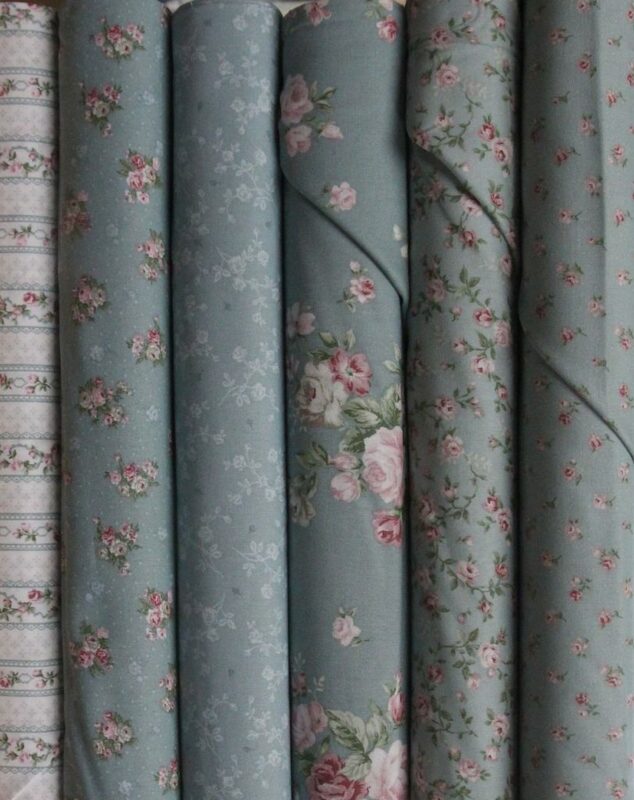 “Vintage Roses” – soft pinks, blues, white in floral and stripe! By Blank. 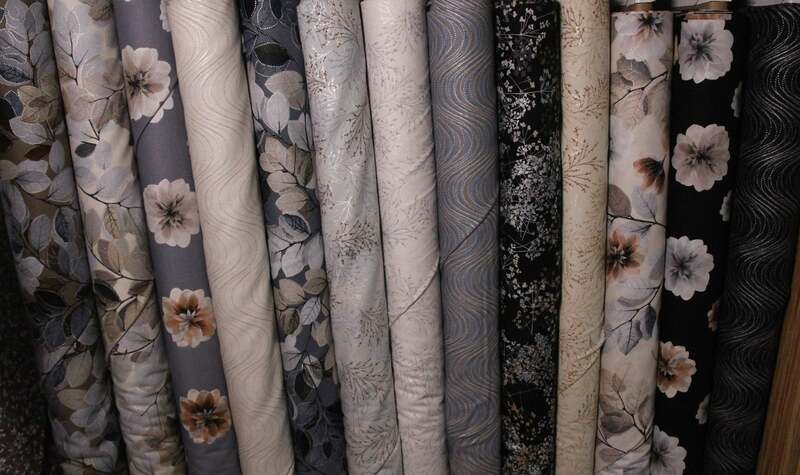 “Florella” – floral pieces . . . blacks, grays, cranberry colors and a border print. 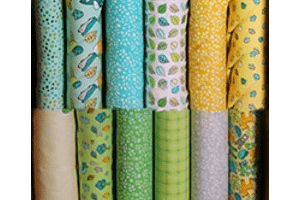 “Woodside Blossom” – soft pinks, lavendars, greens available in jelly rolls, charm packs, layer cakes and fat quarter bundles!! “Popcorn and Peanuts” – Snoopy, Woodstock and popcorn on backgrounds of red, blue and black! 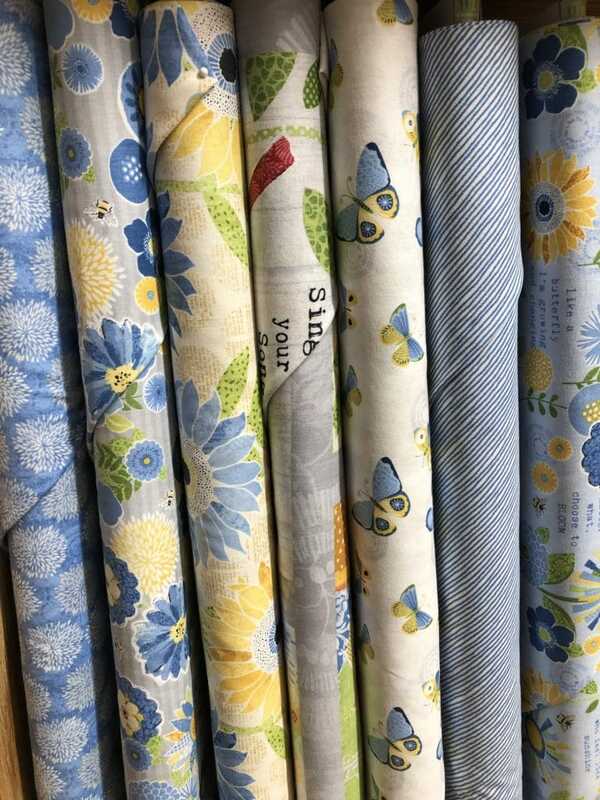 “Soft Time Books” – New fabric books for your little ones: “Go to Sleepy Little Sheepy”, “Miss Kitty’s Colors”, “Tool Time”, and “Noah’s Ark”. Many to pick from. “NEBRASKA” Flannel is here! Huskers on gray background. Nice and cuddly. 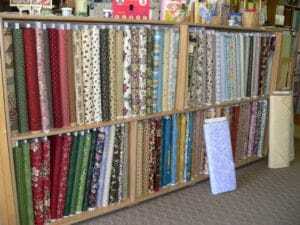 “Jelly Roll Basics” – Blacks, whites, reds and grays in a bundle. Also, multi-color bundles. Maywood Studio. 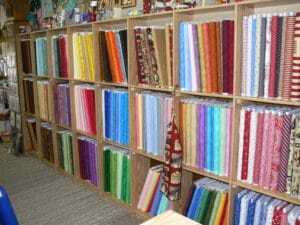 REMEMBER: We have “Lots of Dots” for all your sewing needs! 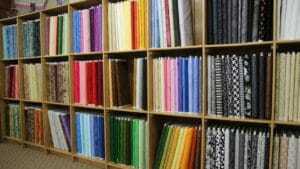 Don’t forget to check on our Backings that are available. Some new ones have arrived! Still have some Christmas prints at 40% off. 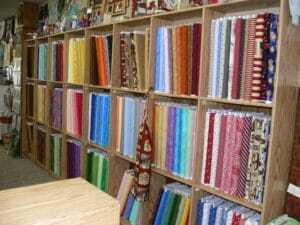 Would you like to learn to sew or refresh your sewing skills?